I've come to the realization that I have a long way to go before I ever develop healthy habits involving food. There are so many ups and downs along this journey. I have never given up and I don't intend to, but I'd also like to make progress. I can do really well for a short period of time and then everything comes undone. It makes me think about what my therapist has told me about having an all or nothing mentality. It's either perfect or it's not and I leave no option for just being "ok". Perfectionism and Binge Eating Disorder are actually linked. I was listening to a Chalene Johnson podcast yesterday when she said, "You deserve the best, so why wouldn't you eat the best?". That really hit home for me. Do I believe that I deserve the best? 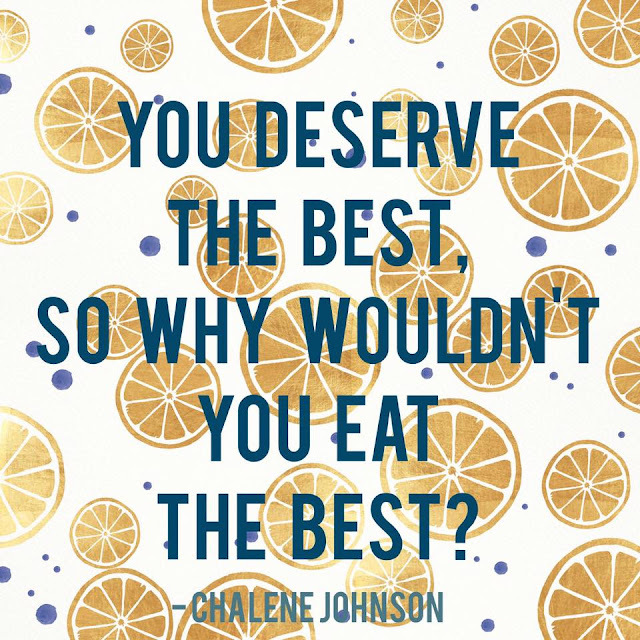 If I do, then why don't I eat the best? I find myself indulging too often. I'm all about indulging occasionally, but when it becomes a habit then it's no longer healthy in any way whatsoever. It becomes like an obsession. I can't stop thinking about it, I will literally eat something in secret so that my hubby doesn't remind me that I shouldn't, and then that's followed by guilt. Sometimes I feel like my out of control eating has been worse than ever lately. It goes in spurts though. I'll do wonderfully, followed by a short period of eating horribly and indulgently. I keep telling myself that it's just an indulgence, and that's just life-- sometimes there will be indulgences. But like I said before, there are too many of them. Maybe I'm not mindful enough. The journey seems so long and the goal so far away that I lose sight of the impact the choice that I'm making in the moment will have on the outcome. That's tough. I'm being too short sighted. Anyways, thanks for reading my ramblings. Any thoughts?